Toria’s Top Ten: My 10 Favourite Cruelty-Free Brands! Today, I thought I’d share my ten favourite cruelty-free brands! I was thinking it might be somewhat helpful to anyone who is looking for some new cruelty-free brands or products. This list is compiled of mostly personal care brands — not too many makeup brands — because that’s what I love! All of these brands… Continue reading Toria’s Top Ten: My 10 Favourite Cruelty-Free Brands! Coconut Oil: The All-Purpose Beauty Product? Today I want to talk about coconut oil! I know I’m late to the party when it comes to the obsession with coconut oil, but I’ve been absolutely loving coconut oil as of several months ago, and I’ve been using it for just about everything beauty related! Today I thought I would discuss some of… Continue reading Coconut Oil: The All-Purpose Beauty Product? Toria’s Top Ten: 10 Tips For Healthy Hair! Today we’re going to talk about hair! As you can tell by the title, I want to share with you my top 10 tips for how to get and maintain healthy hair. These are tips that I follow to really help my hair be its healthiest. Many of these tips are definitely well known, but… Continue reading Toria’s Top Ten: 10 Tips For Healthy Hair! 30 MAC Lipstick Dupes | Cruelty-Free & Inexpensive! One of my favourite makeup brands used to be MAC! But you guys know that I like to buy cruelty-free. Unfortunately, at this moment in time, MAC is not cruelty-free, and neither is its parent company, Estee Lauder. 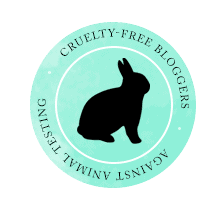 MAC has the same policy as its parent company when it comes to testing on animals …it’s… Continue reading 30 MAC Lipstick Dupes | Cruelty-Free & Inexpensive! Toria’s Top Ten: 10 Tips For Beautiful Skin! Today I want to share with you my top 10 tips to help you get (and maintain) beautiful, healthy skin! I’m obviously not a dermatologist or a health care professional, but these are things that I find work for me. I, of course, want my skin to be as healthy and luminescent as possible, so… Continue reading Toria’s Top Ten: 10 Tips For Beautiful Skin!